1. 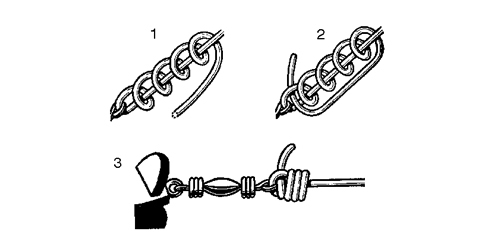 Thread the end through the eye of the swivel and twist four times round the shaft. 2. Pass the end through the loop next to the eye. 3. Pull up tight and cut off free end. Keep checking back for handy tips from Steve Edge. Dont forget to lubricate all knots in nylon with a little spit. The line is weakened if tightened dry. Agreed about lubrication. I often use lipsalve rather than spit, especially with thicker lines.